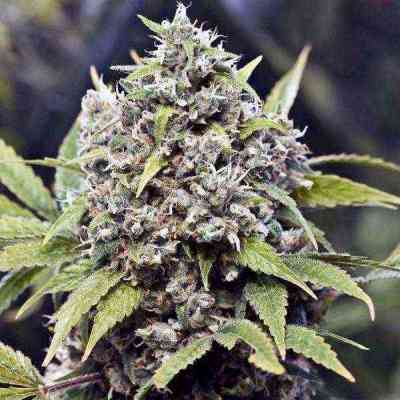 Kush'N'Cheese cannabis seeds by Dinafem Seeds belong to a feminized cannabis strain that originates from the cross of UK Cheese and Emerald OG Kush. The result is a high-quality cannabis hybrid that will delight those seeking a strong taste that lingers long in the mouth. Kush'N'Cheese was created with the aim of awakening the senses of demanding growers. It is an easy-to-grow, vigorous, medium-sized marijuana plant that flowers fast and produces dense, large, elongated buds covered in resin. A really amazing strain that is appreciated both by beginners and expert growers. Kush'N'Cheese performs well both indoors and in dry, warm, sunny climates or in the greenhouse outdoors. It combines all the traits of the parents, which results in great complexity. Kush'N'Cheese cannabis seeds produce plants with an intense flavour and aroma, with distinct hints of Cheese, lemon and oil. The powerful effect is more physical than cerebral, an invitation to relax for a long time.